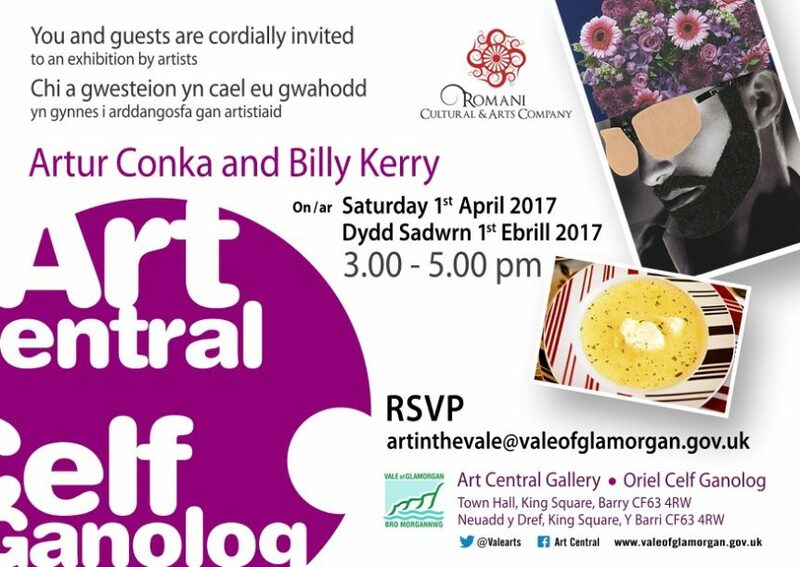 The Romani Cultural & Arts Company proudly invites you to meet the artists Artur Conka and Billy Kerry at the opening of this new exhibition. This new and exciting installation of specially commissioned artworks is the latest in our groundbreaking Gypsy Maker project—an initiative that supports the development of innovative works by established and emerging Gypsy, Roma and Traveller artists. The Gypsy Maker project expands the work of the RCAC by continuing to engage GRT communities and the wider public in ongoing dialogue about the ways in which art continues to inform the lives of individuals and communities today. Artur Conka is a photography graduate from the University of Derby. One of the few Roma to have documented his community from behind the lens Conka’s photography and film making focuses on the lives of Roma, Gypsy and Traveller groups across Europe. We look forward to presenting his original and innovative approach to filmmaking and photography in this new exhibition. Billy Kerry was trained at Chelsea College of Art and Design in London, where he achieved a First class Honours Degree in Fine Art. Since graduating in 2009 he has been inspiring others by teaching at Cambridge Regional College. His new exhibition of artworks investigates and challenges preconceived views of ethnicity, gender roles and constructed conformity. The Romani Cultural & Arts Company cordially invites you come along to see the works and meet the artists at the opening of this new and exciting exhibition.